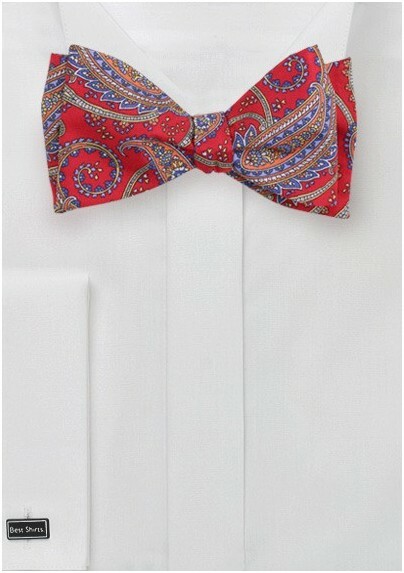 A classic paisley bow tie that surely will appeal to any bow tie aficionado. The classic large-scale paisley print is paired with an attention-grabbing color combination. This piece looks fantastic with all your dark navy, gray, and beige suits. 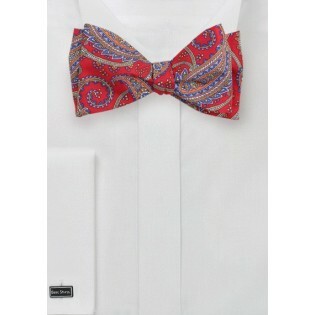 Available as self-tie style (shown here) as well as pre-tied bow tie (see link below). Made by hand from pure silk.